Linkages Summer 2017: Asthma Resources is a newsletter for professionals who work with children who have ongoing health conditions or disabilities. This newsletter features low literacy asthma resources in a variety of languages. These materials may be helpful to use with families with limited English proficiency and low health literacy. They use illustrations, photos and audio to explain key concepts in asthma management. The school-based asthma management program (SAMPRO) was designed in collaboration with multiple healthcare partners across the country and is sponsored by American Academy of Allergy and Asthma (AAAA1) and National Association of School Nurses (NASN). This standardized asthma management program, provides centralized, evidence based asthma education and resources. Standardized asthma tools, particularly care plans, enhances communication between families, children, primary and specialized care providers and school nurses to promote better care for children with asthma at school. The free SAMPRO toolkit provides websites and useful resources for nurses interested in implementing SAMPRO at their school or organization. Parent focus groups responded positively to the use of attractive clear visuals and simple language in this guide. Visuals and photos demonstrate how to use an inhaler, how asthma impacts breathing and all of the types of medications used to treat asthma. Available in English and Spanish. This comprehensive booklet includes sections about cleaning inhalers and nebulizers. Available in Spanish and English and includes a partner video. This pocket guide is designed for families with low health literacy and non-English speakers. It includes visual step by step instructions for using and cleaning an MDI spacer. Available in English, Spanish and Somali. Illustrated poster with signs to look for that indicate respiratory distress. Includes a breathing rate chart. Available in English, Spanish and Somali. Online Learning Module-What is Asthma? 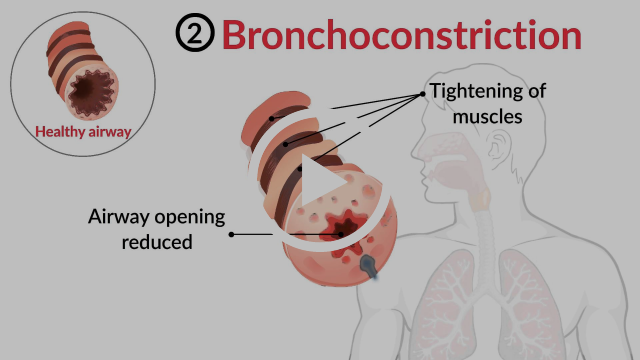 Short, animated video describing asthma triggers and pathophysiology. Available in English and Spanish. Disclaimer: The inclusion of any resource or website in Linkages does not imply endorsement. Produced by the Center for Children with Special Needs, a program of Seattle Children’s with support from the Washington State Department of Health, Children with Special Health Care Needs Program. View the archive for previous editions of the Linkages newsletter and to sign up for future issues. The Center for Children with Special Needs provides information to families and professionals focusing on children who have chronic physical, developmental, behavioral or emotional conditions such as asthma, cancer, autism, or cerebral palsy.